I have to admit, I had a hard time getting into the spirit of Christmas this week. Besides the obvious fact that we are currently surrounded by Halloween, it just wasn’t coming to me. After the car and computer troubles of this past weekend, I kind of lost my mojo for a few days. Sure, I was baking and cooking every day this week. But not for fun. No, it was out of necessity–and that tends to sap the spirit right out of it. Why? Mainly because I didn’t want anyone to know at first that it was, in fact, one of those tough weeks. Like there’s some sort of scarlet P that will be pinned to my breast if I reveal that we are slipping lower and lower from the so-called “middle class” with each catastrophe that strikes. But that’s silly. Because this is real life. And many other people are struggling just as much as we are–and many more are facing worse. Yes, it was a less than ideal week. But at the end of it, we will still have so many blessings, including food in the cabinets. Staples that provide opportunities not available to all. I was embarrassed, but there is no need to be. There is much for which I am grateful. 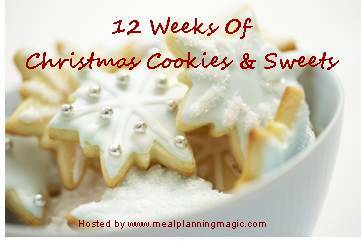 In hopes that the next week will be better, I am thus offering you Week 3 of the 12 Weeks of Christmas Cookies & Sweets: Chocolate Cinnamon Bars. These are an old family favorite, on the platter every year at my father’s family’s Christmas celebration. Usually, my mom bakes them. This time, it’s my turn. Good ole family traditions and the holidays. We’ll get through this together. Because that’s what the spirit of Christmas is all about, after all. I don't know where my mom found this recipe--it was in her collection of handwritten index cards--but she makes it every year. Now, you can, too. Grease and line a 9"x13" baking dish with parchment paper. Set aside. Cream together the butter and shortening. Add the egg and egg yolk, beating until well incorporated. Beat in the sugar and cinnamon. Add the flour, salt, and baking powder, mixing until just incorporated. With a silicone spatula, spread the mixture into the bottom of the prepared pan. It will be sticky. Just be patient. Brush all of the egg white over the top of the mixture. 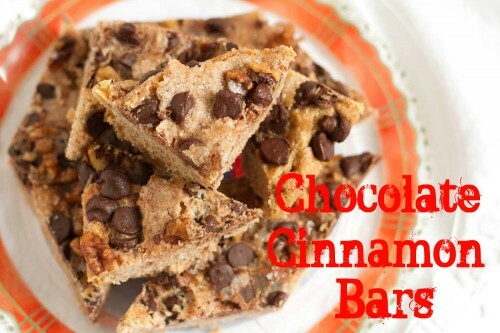 In a medium bowl, mix together the granulated sugar, cinnamon, walnuts, and semi-sweet chocolate chips for the topping. Sprinkle evenly over the bars. Bake for 25-30 minutes, or until edges are lightly browned. Be careful not to overbake! Cool completely before removing from pan and cutting. This is very important! They will fall apart if you are not patient. What has everyone else made this week? Check out what they’re offering in Christmas spirit! I’m all for ANYTHING with chocolate and cinnamon in it- yum! Once you eat one, you can’t stop either! These bars look fabulous! I love tried and true recipes that are made year after year. Thanks for passing along this recipe. I hope next week goes better for you. Thanks for stopping by my blog! It made my day!! No kidding, huh? At least these cookies are a delicious distraction. What a fabulous combination! I bet my boys would LOVE these! Sometimes its hard to look for the silver lining, but you gotta trust that it is out there! Here’s to better days ahead! These bars look fantastic. I’ve saved them to try out soon! I don’t have to wait til Christmas right…I want some now! No need to wait–get to work! Guess you need to make them, then! those look delisious!, thanks for visiting! Looks like a decadent treat. So great that you had all the ingredients in the pantry. Wishing all good things are coming your way for the new year. 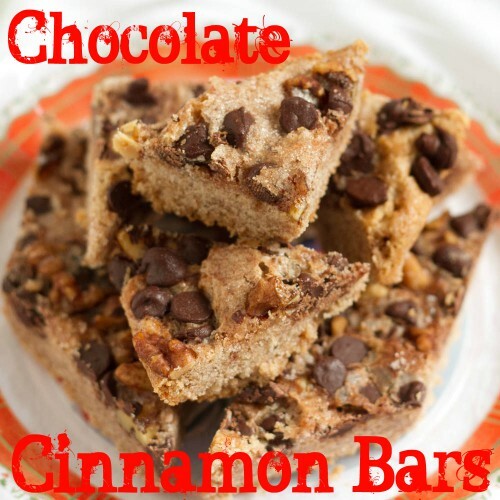 I love bars and chocolate and cinnamon pair perfectly! This is a fabulous combination, too. So delicious! Awesome bars! And here’s hoping that the next week goes much better for you! 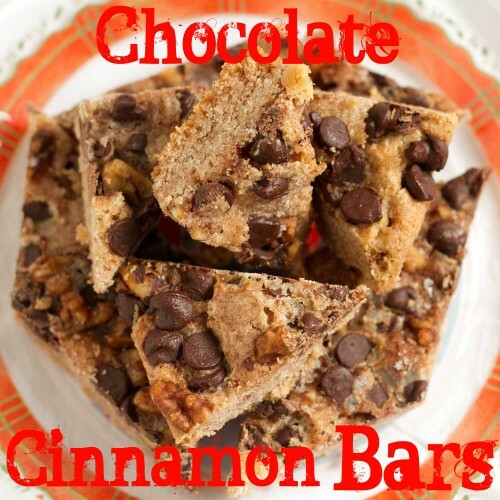 I lost my recipe for these so I was happy to find it on your site.I’ve been making these since I was a kid,when I was a teen I use to trade them for cigs. IOne cookie could get me two cigs.Of course mom didn’t know I was doing this. Jan 2 will be 19 years since I quit. I’m sorry, but I laughed a little there, Aunt Linda. 🙂 Glad I could help you out! We didn’t get around to making them this Christmas season. I’m definitely missing them!